You will get monthly financial analysis and MIS reports and we will discuss them with you to understand the business performance. Recording of transactions should be in compliance with FTA so we can assist you in VAT Registration, Bookkeeping as per VAT and VAT Return filing and proper VAT Planing. We will help to design your business process as per the best business practice, and we can automate most of your business activities for high efficiency. Together, we simplify your everyday accounting, SRS Online! 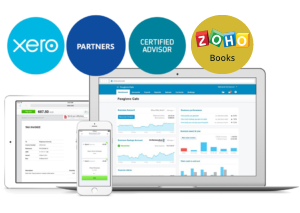 Using an accounting software with all the time-saving tools you need to grow your business: unlimited users and 24/7 support … not to mention the security and reliability you’d expect from Xero. Automatically track gains and losses across multiple currencies. Store your files and transactions in one place online for easy access from anywhere. Manage your cashflow by scheduling payments and paying suppliers. We have been using manual accounting until we met Mr. Shinas and he introduced us XERO and now he is assisting us in all our financial reporting, we are very happy with the service. I have found SRS Accounting Solutions to be very helpful and knowledgeable to us as our outsourced accounting provider. Their analytical approach is very helpful for us in decision making. © 2017 SRS Accounting Solutions. All Rights Reserved.